Employment Memo will help you deal with your employment law queries quickly, safely and efficiently. It provides expert commentary on all aspects of employment law and practice. Packed with examples and practical advice, it's accessible and easy to navigate while retaining depth of coverage on a wide range of employment issues. Employment Memo is sure to satisfy all your employment law needs. 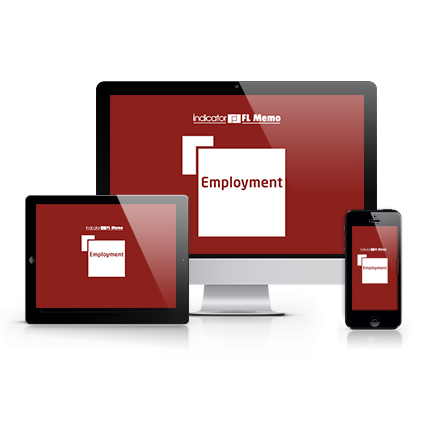 Employment Memo covers all aspects of employment law and practice. It takes you through the employment relationship from start to finish in a logical way. The rules surrounding employment are complex and tricky to follow, particularly in areas such as handling discipline and grievance, absence management, and contracts. That's why we've created this Memo. Crammed with useful examples, it makes complex scenarios easier to understand and get to grips with. It's all you need to play it safe.